EDITOR’S NOTE: SpaceX announced early Sunday that the SSO-A launch has been delayed to Monday to allow additional inspections on the Falcon 9 rocket’s second stage. That heady goal is still some time away — SpaceX chief executive Elon Musk said in May that a 24-hour rocket turnaround could happen in 2019 — but drives the company’s efforts to gradually cut the time between flights of the same first stage. Hans Koenigsmann, SpaceX’s vice president of build and flight reliability, said in October that Falcon 9 rockets will soon begin logging more flights using the same airframe, a step-by-step approach that will take a big leap forward with Sunday’s mission from Vandenberg, a military base around 140 miles (225 kilometers) northwest of Los Angeles. SpaceX is now launching what it says is the final version of the Falcon 9 — known as Block 5 — which debuted May 11 with a launch from pad 39A at the Kennedy Space Center in Florida. The booster that launched on that mission — carrying the Bangabandhu 1 comsat to orbit for Bangladesh — landed on SpaceX’s drone ship downrange in the Atlantic Ocean, returned to Florida for inspections and refurbishment, then flew again Aug. 7 on a flight from pad 40 at neighboring Cape Canaveral Air Force Station with the Indonesian Merah Putih communications spacecraft. Following another landing on the drone ship in the Atlantic, the rocket returned to shore, and SpaceX transported it cross-country to California in preparation for its third flight, now set for Sunday. Liftoff of the Falcon 9 rocket is planned at 10:31:47 a.m. PST (1:31:47 p.m. EST; 1831:47 GMT) Monday from Space Launch Complex 4-East at Vandenberg, at the opening of a roughly half-hour launch window. Sixty-four smallsats, ranging in size from a Rubik’s cube to a refrigerator, are mounted on top of the rocket, hailing from 17 nations, with customers that include the U.S. Defense Department, the commercial Earth-imaging company Planet, international space agencies, universities and art museums. Spaceflight, a Seattle-based company that arranges launch services for small satellites, booked the full capacity of the Falcon 9 mission in 2015, then signed contracts with smallsat owners to fill the ride to a 357-mile-high (575-kilometer) sun-synchronous polar orbit. SpaceX plans to again land the first stage, for the third time, on a drone ship stationed in the Pacific Ocean off the coast at Vandenberg, potentially for a future fourth launch. While the new Block 5 version of the Falcon 9 rocket introduced changes to make the first stage easier to recover and reuse, re-flying the boosters is still a learning process for SpaceX, Koenigsmann said in October. “One of the problems is fatigue,” he said. “You’ve got to watch the life cycle on components. They vibrate, basically, and you’ve got to have an eye on fracture control and make sure that you don’t have any fractures on those components. That is actually not new. Helicopters do this right now. They are basically vibration machines, and they track, actually, the number of cycles, and they know exactly when they have to go into maintenance or preventive maintenance. 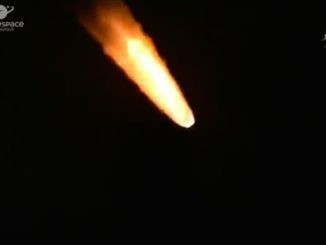 On missions launching satellites toward geostationary orbit, a perch more than 22,000 miles (nearly 36,000 kilometers) above Earth, the first stage can reach speeds of over 5,000 mph, subjecting it to hotter re-entry conditions on the way back to Earth. For payloads destined for low Earth orbit, a few hundred miles up, the first stage doesn’t need to travel as fast. “In terms of refurbishment and building a new rocket, it’s way cheaper to refurbish,” Koenigsmann said. SpaceX did have some financial help, not only from Musk’s fortune, but also from venture capital investments, and a cash infusion from Google. 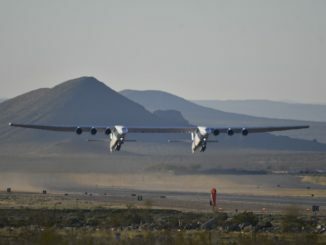 The company’s revenue-earning launch activity also generated money from commercial customers, plus NASA and the U.S. Air Force, which have billions of dollars in contracts with SpaceX. SpaceX has offered discounts from the Falcon 9’s advertised selling price of $62 million for customers willing to place their satellites on a reused rocket, or as SpaceX likes to say, a flight-proven booster. Musk said in May that SpaceX then charged around $50 million for flights using a previously-flown first stage, and he expected a “steady reduction in prices” as the company gains experience with reusing rockets, and as SpaceX pays off what Musk has said was a billion-dollar investment in the capability to recover and re-fly boosters. 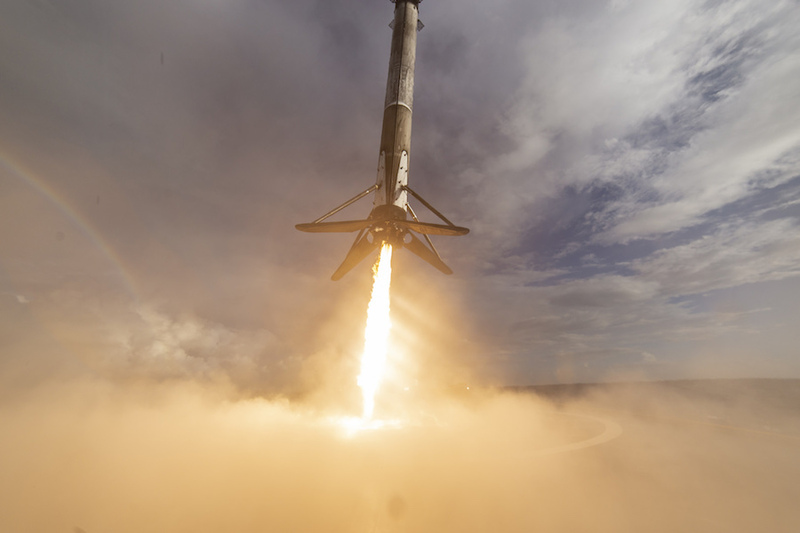 He said in May that about 60 percent of the marginal cost of a Falcon 9 launch comes from the first stage, 20 percent from the second stage, 10 percent from the payload fairing — an aerodynamic cover that protects satellites from the rush of air during liftoff — and around 10 percent from the processing, testing and assembly of a rocket for flight. SpaceX has successfully landed one of its rockets 31 times after an orbital launch — all since December 2015 — bringing back the 15-story boosters from the edge of space and speeds of more than 5,000 mph (nearly 2.3 kilometers per second). The company has reused a rocket 17 times to date, beginning in March 2017. Thirty-six missions have been launched by SpaceX since the company resumed flights in January 2017 following an on-pad explosion of a Falcon 9 rocket the previous September. 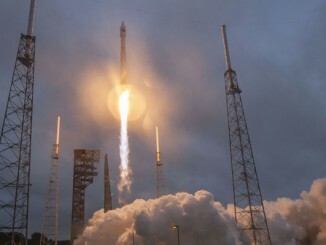 The company’s record since return-to-flight nearly two years ago is perfect, after two failures in 2015 and 2016 — one in flight and one on the pad — resulted in the destruction of a space station supply ship and an Israeli-owned communications satellite. Monday’s mission will mark the 64th flight of a Falcon 9 rocket overall since the first variant of SpaceX’s workhorse debuted in June 2010. If the SSO-A mission goes well, SpaceX aims to follow it up with the launch of a brand new Falcon 9 rocket from Cape Canaveral on Tuesday with another cargo flight heading to the space station.